Like the golden trio of the Harry Potter books, the Marauders got into plenty of mischief, with some antics leading readers and viewers to wonder just what kind of school safety standards exist in the Wizarding World. The four Gryffindor students also amassed quite a few enemies, including Severus Snape. They were even briefly at odds with Lily Evans at one point. Despite these ups and downs, the four remained an inseparable and loyal group of friends– well, kind of. They’re probably best known as the creators of the Marauder’s Map, but they have plenty of other crazy shenanigans and secrets waiting to be uncovered. 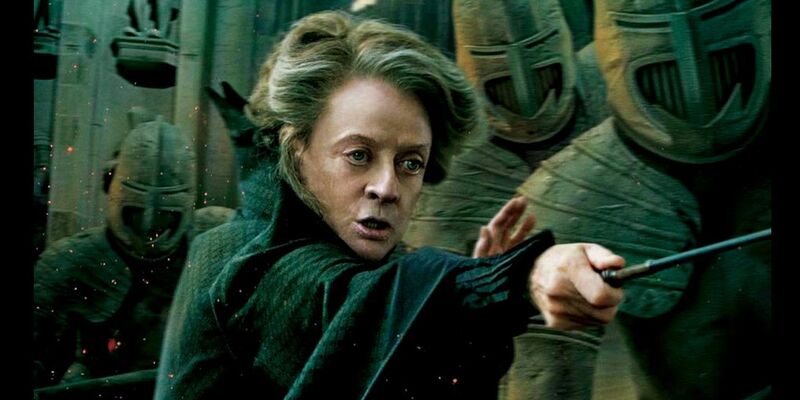 The following list incorporates facts from all of the Harry Potter books and movies, as well as some tie-in material. Spoilers are littered throughout, so it’s time to go binge-watch or marathon-read if you’re not up to date on the Wizarding World. Here are 20 Crazy Things The Marauders Did Before Harry Was Born. Our first introduction to the Marauders as a gang of rowdy teens was in The Prisoner of Azkaban, when Fred and George Weasley give the Marauder’s Map to Harry. 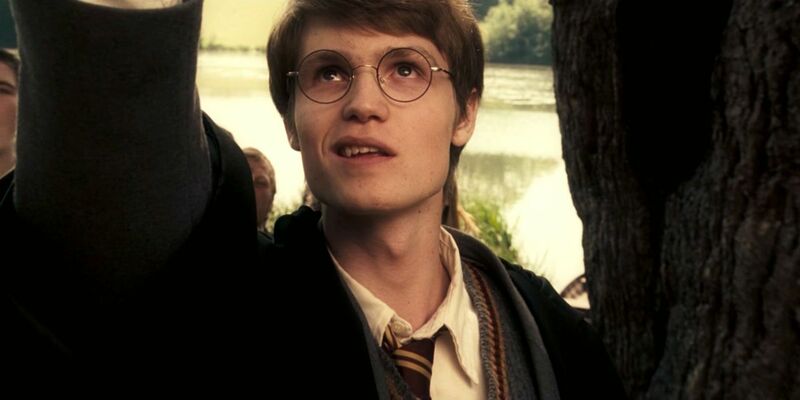 None of them know who the mysterious Marauders are at the time, but in a stunning turn of events, it turns out that Harry is inextricably connected to the group of young pranksters. 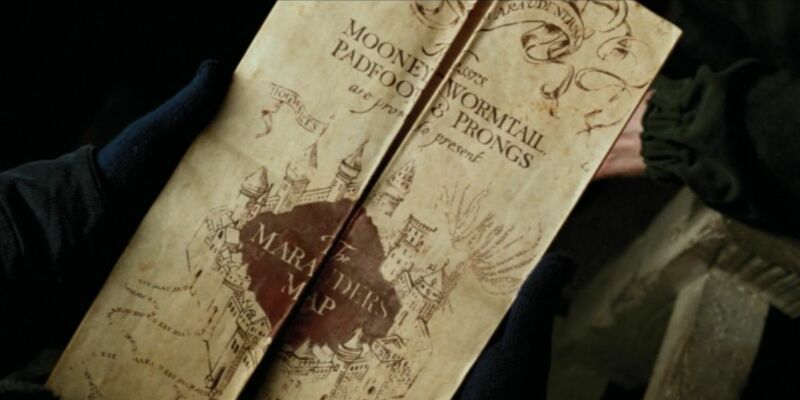 Remus, Sirius, James, and Peter created the map using the Homonculous Charm, allowing it to keep tabs on everyone’s whereabouts in Hogwarts. Thanks to their being unregistered Animagi and James’s possession of the Invisibility Cloak, the gang was able to explore the grounds without getting caught. It eventually got confiscated by Filch, and none of them could steal it back. Remus Lupin’s name comes off as somewhat of a cruel joke. He shares his first name with a mythological figure raised by wolves and “Lupin” comes from lupus, Latin for wolf. Remus’ parents certainly didn’t expect their baby boy to be attacked by the notoriously vicious werewolf Fenrir Greyback. Remus’s father Lyall worked at the Ministry of Magic, and at one point had Greyback in custody. 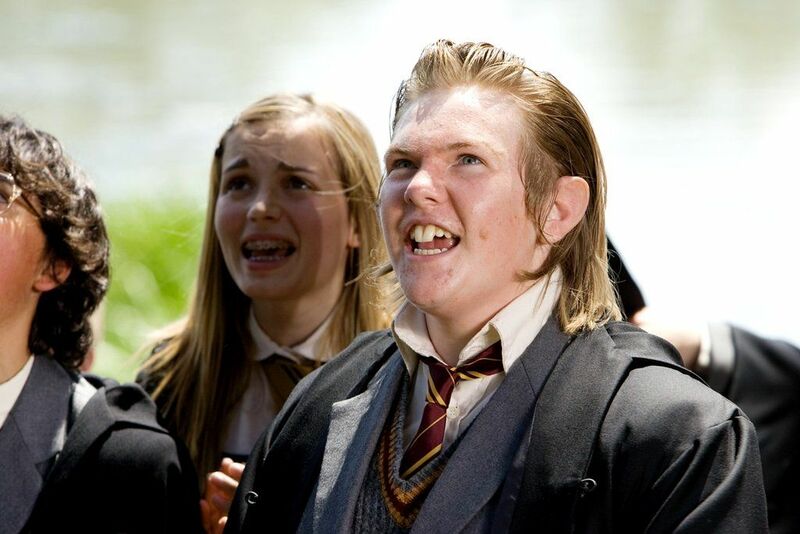 However, Greyback was able to pass as a lost Muggle because of his dishevelled appearance and lack of wand. When Greyback was released, he planned to exact revenge on Lyall for saying werewolves don’t deserve to live, and bit his son Remus when he was just four years old. 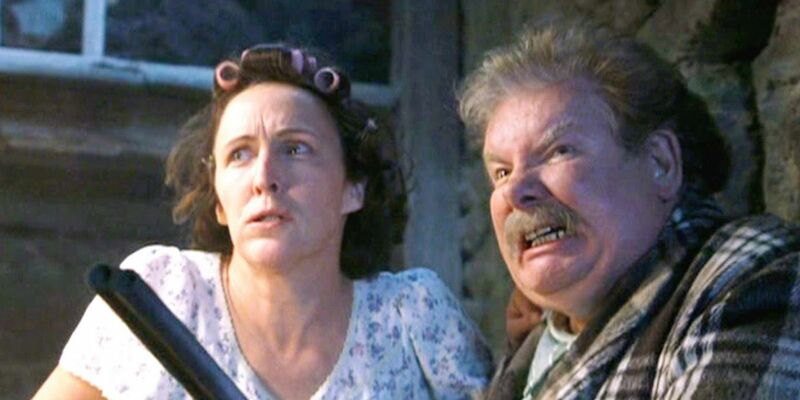 According to both Sirius and Horace Slughorn, every member of the Black Family were Slytherins. That’s pretty impressive, given that the family had records dating all the way back to the Middle Ages. Sirius stuck out like a sore thumb. When he first started his time at Hogwarts, he was sorted into Gryffindor, showing that by the time he was 11, his views had already started diverging from those of his birth family. He’d go on to show immense pride in his identity, setting up permanent Gryffindor banners in his bedroom at Grimmauld Place and decorating the space as if he were a Muggle boy, much to his parents’ ire. Ever the rebel, he didn’t care about potentially getting disowned by his family, seeing the flaws in the Blacks’ pure-blood supremacist leanings. There’s a common misconception that the Gryffindors are the good guys and that the Slytherins are evil. It certainly doesn’t help that Slytherin tends to churn out quite a few dark witches and wizards. However, just as Slytherins aren’t necessarily bad, being a Gryffindor isn’t a guarantee of moral perfection either. It took the Sorting Hat more than five minutes to settle on a House for Peter Pettigrew, wavering between Slytherin and Gryffindor. The long deliberation time made Peter a Hatstall. Eventually the Hat sorted Peter into Gryffindor, and the rest— including Peter’s betrayal— is history. Curiously, the Sorting Hat still insists that it made the right decision, using the almost heroic manner of Peter’s passing as justification. Being Head Boy or Girl at Hogwarts is a pretty big deal— just ask Percy Weasley. You have authority over prefects, and you’re in charge of supervising patrols on the Hogwarts Express. Of course, in order to be appointed Head Boy or Girl in your seventh year, you’d need a stellar track record at school, including good grades and an honest character. While it’s not a written rule that you need to be a prefect beforehand, it’s a de facto requirement. That’s why it’s astonishing that James was named Head Boy of Gryffindor. Sure, he’s clever and a star of the Quidditch team, but he must’ve seriously cleaned up his act in order to go from serial mischief-maker to Head Boy. With all the dangerous events that happen at Hogwarts, it’s easy to forget that the students there are generally between eleven and seventeen. It’s also easy to overlook just how clever these inquisitive kids tend to be. Sure, most of the residents in and around Hogwarts never realized that Remus was a werewolf, but James, Sirius and Pettigrew found out about his lycanthropy by their second year. This means they uncovered a secret that Dumbledore actively tried to hide when they were only twelve years old! Remus did have elaborate excuses to justify his absence, but it wasn’t enough to fool the young Marauders. Or maybe they’d simply guessed based on Remus’s name and the timing of his disappearances. Because of the widespread prejudice against werewolves, Remus was technically not allowed to attend Hogwarts. 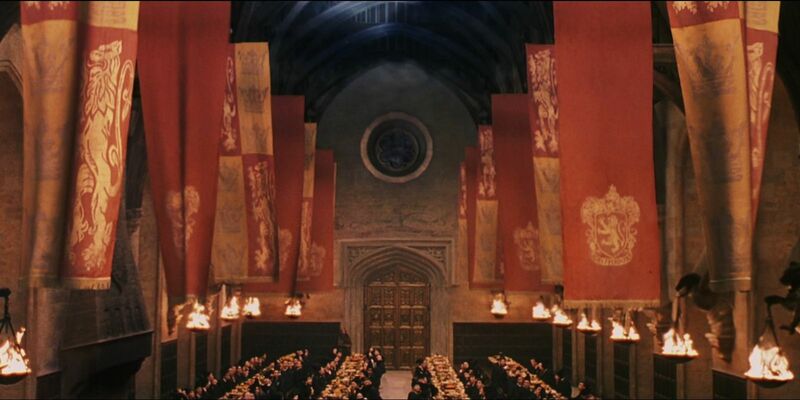 However, Headmaster Albus Dumbledore made accommodations for him, allowing him to enroll in the prestigious school while ensuring everyone’s safety. Remus would sneak to the Shrieking Shack via the Whomping Willow around the time of a full moon, transforming into a werewolf in an isolated environment. The tree was planted at the tunnel to prevent people from barging in mid-transformation. While the plan mostly worked and kept others safe, it wasn’t the best course of action for Remus himself, who was only eleven. Sadly, the isolation drove Remus to extremes and he’d hurt himself in the transformation process. Remus was understandably worried about being abandoned by his friends should they ever find out about his lycanthropy. Werewolves face intense discrimination, and even his father had once thought they didn’t deserve to live. However, when Remus’s friends found out, not only did they not leave him, but they also became unregistered Animagi in order to help Remus during his transformations. Becoming an Animagus at any age is incredibly hard, let alone before you’ve finished your schooling. 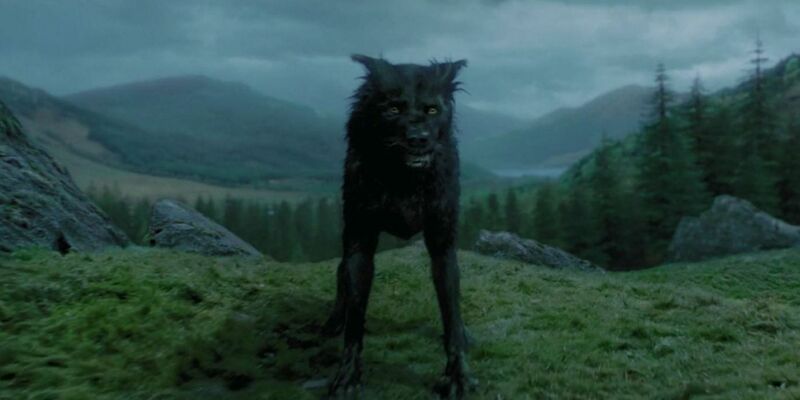 James and Sirius, whose Animagus forms were a stag and a black dog, were large enough to keep up with Remus when he’d turned into a werewolf. Pettigrew was small enough as a rat to press the knot on the Whomping Willow to immobilize its deadly branches. 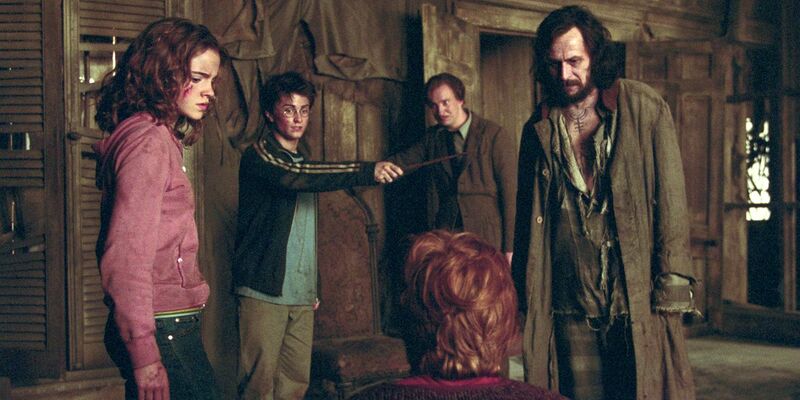 Together, they helped ease Remus’ monthly transformations at the Shack. Tragically, Harry never knew his parents, since they passed away trying to protect him from Voldemort. However, he does hear stories about their kindness and heroics from his parents’ friends, resulting in an almost romanticized impression of James and Lily. It was a huge shock for Harry when he found out that James was a bully during his Hogwarts years. Sirius and James would team up and bully Snape, calling him “Snivellus” and hexing him. Pettigrew didn’t have the (misguided) courage to partake in the bullying himself, but cheered his friends on from the sidelines. Remus disapproved of their bullying, but stood by without stepping in. The only person who’d intervene was Lily. In an effort to save his own life, Pettigrew pretty readily betrays the Order of the Phoenix and joins Voldemort’s ranks. It should come as no surprise then that, according to Minerva McGonagall, he essentially worshipped Sirius and James, idolizing two of the most popular students at Hogwarts. McGonagall called him stupid and foolish, and a less-than-average student. That said, Peter, James, and Sirius did become Animagi in under three years, and as teenagers, which is an extraordinary feat. There’s definitely the possibility that Pettigrew had been playing dumb the entire time in order to get people to underestimate him, allowing him to slip under the radar and catch his enemies unawares. Snape whole-heartedly reciprocated the Marauders’ hatred, and particularly despised Sirius and James. He would follow the four around the castle, trying to gather dirt on them that could get them expelled. Snape eventually became suspicious of Remus’s odd and frequent disappearances. 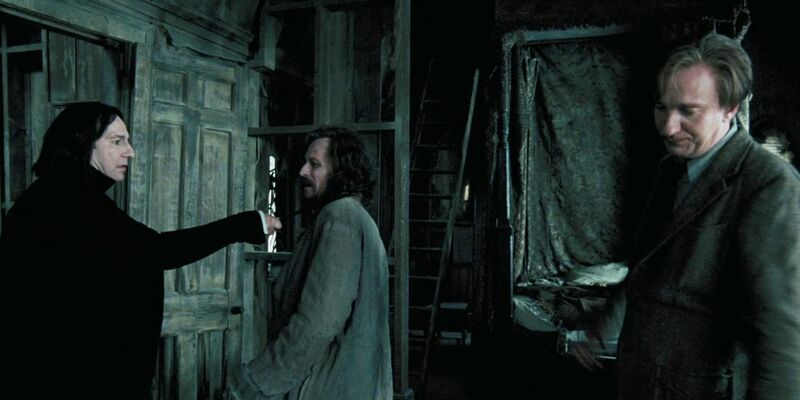 At one point, Sirius pranked Snape by telling him how to get past the Whomping Willow in the hopes of scaring him or getting him seriously injured. Snape did end up discovering Remus’ secret, but James was able to prevent him from getting hurt. It was a particularly cruel and dangerous joke, but Sirius justified it by insisting that he’d simply told Snape what he’d wanted to know, even saying that Snape deserved it. Snape is perhaps the most notable victim of Sirius and James’s bullying. They’d gotten off to a rocky start before they’d even arrived at Hogwarts, with Sirius and James insulting Snape on the Hogwarts Express leading up to their first year. However, Snape is far from the only unfortunate soul that the duo targeted. Bertram Aubrey was another student that crossed paths with Sirius and James at Hogwarts. 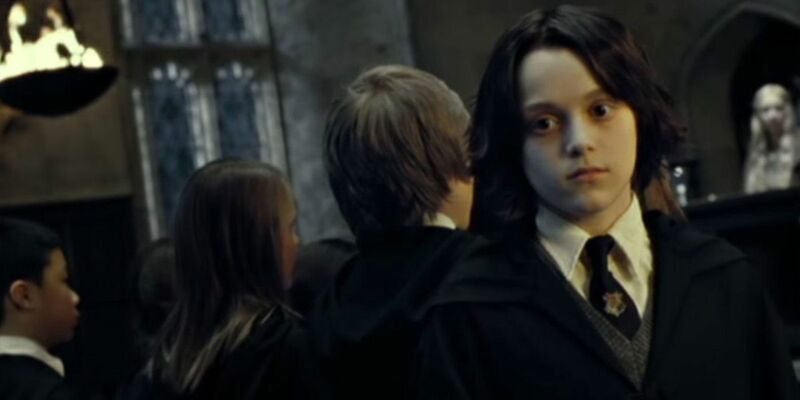 Sirius and James used an illegal hex on Aubrey that caused his head to inflate twice the original size, but the pair’s motivation for hexing him isn’t mentioned in Half-Blood Prince. It did cause the two troublemakers to get double detention, and rightfully so. Sadly, the incident is the only thing poor Aubrey is known for. 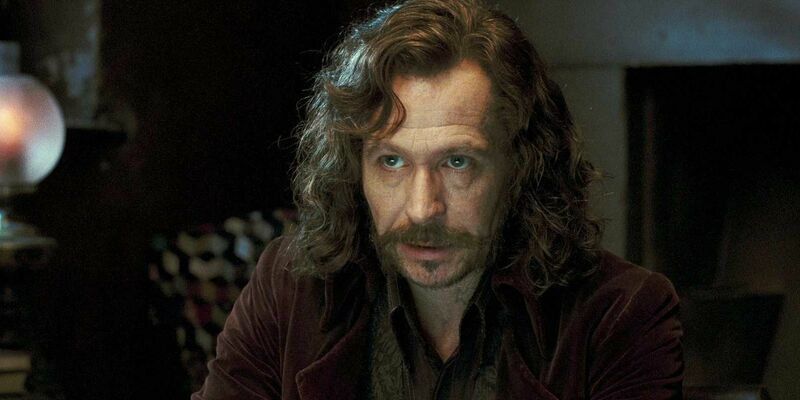 It’s no secret that Sirius never got along with his birth family. The Blacks were a prestigious pure-blood family spanning back generations. Their family motto is “Toujours Pur,” which means “Always Pure”. 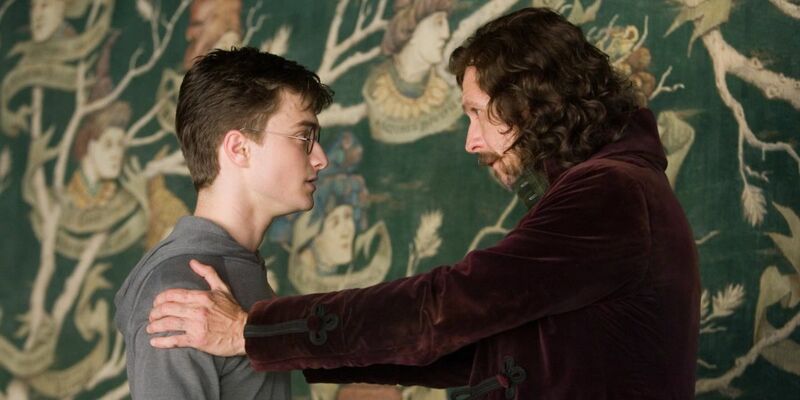 That’s a pretty disturbing statement, and Sirius didn’t believe in it, leading to tension between him and his family. However, it seems like not every member of the Black family showed him the same disdain. Sirius inherited “a decent amount of gold” from his uncle Alphard when he passed away. Alphard was a Slytherin during his time at Hogwarts, but was later struck from the Black family tree after his passing, making Sirius believe that it was his kindness towards Sirius that got him disowned. When Harry and his friends are first introduced to the Shrieking Shack, they’re informed that the dilapidated old building had been haunted for years. 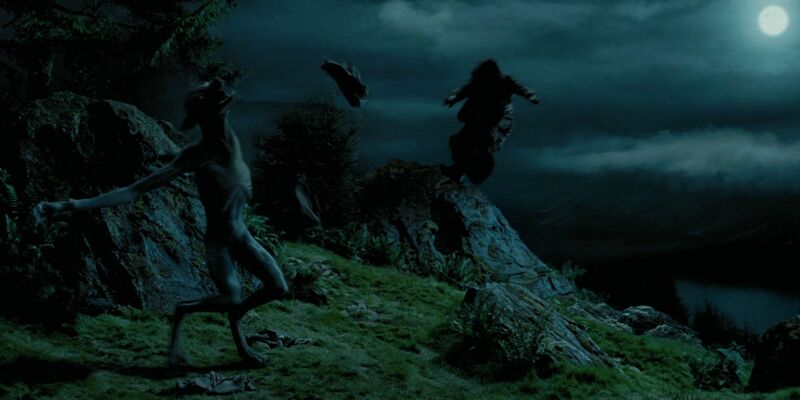 As it turns out, those howls actually belonged to poor Remus, who had to endure his transformations alone as a young boy. He’d end up scratching and biting himself because there weren’t humans around him to infect. 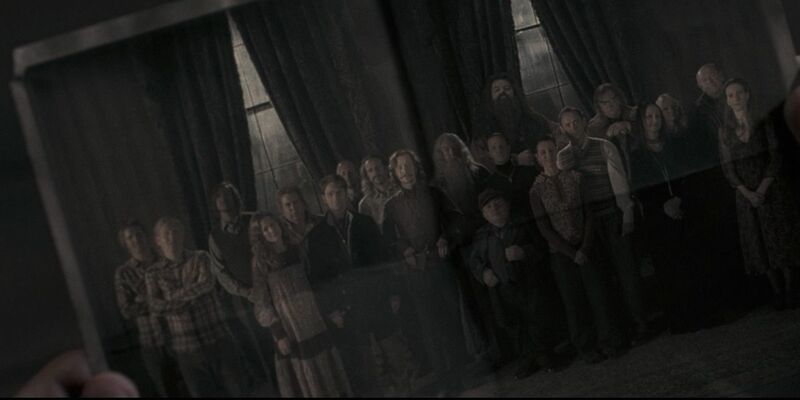 Dumbledore heard about the rumors circulated amongst the villagers of Hogsmeade, and actually encouraged them in order to further hide Remus’s secret. Since eleven-year-old Sirius had already diverged enough from his family’s beliefs to get sorted into Gryffindor, it’s rather reasonable to assume that he had a terrible time at home from a very young age. His entire family was so fixated on blood purity that they would strike out names from their family tree tapestry. 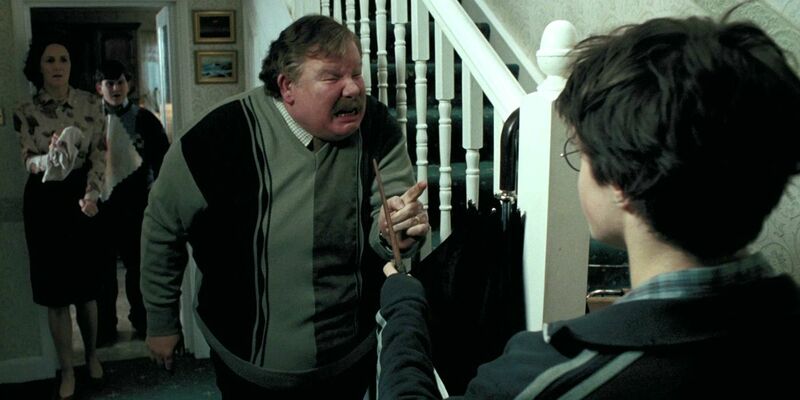 Fortunately, the Potters had always been a welcoming bunch. Despite being a pure-blood family, they were accepting of Muggles and Muggle-borns. Sirius moved in with James’s family, and even described himself as a kind of adopted second son to James’ parents. He eventually got his own place when he was seventeen, using the gold his uncle Alphard left him, but still regularly joined the Potters for Sunday lunch. Dumbledore founded the Order of the Phoenix to fight against Voldemort in the 1970s. Many witches and wizards— affiliated with the Ministry or not —joined his ranks to combat Death Eaters. After graduating from Hogwarts, the Marauders became some of the first members of the Order during the First Wizarding War. Death Eaters began attacking members of the Order in addition to Muggles and Muggle-borns, claiming that they were blood traitors for favoring Muggles even though they were pure-blooded. The Order suffered a lot of losses as a result– including James’ parents. To make matters worse, Peter eventually joined Voldemort’s side out of fear for his own life, readily betraying his lifelong friends in exchange for protection. In 2008, Rowling wrote a short story about James and Sirius for a charity auction, set about three years before Harry was born. 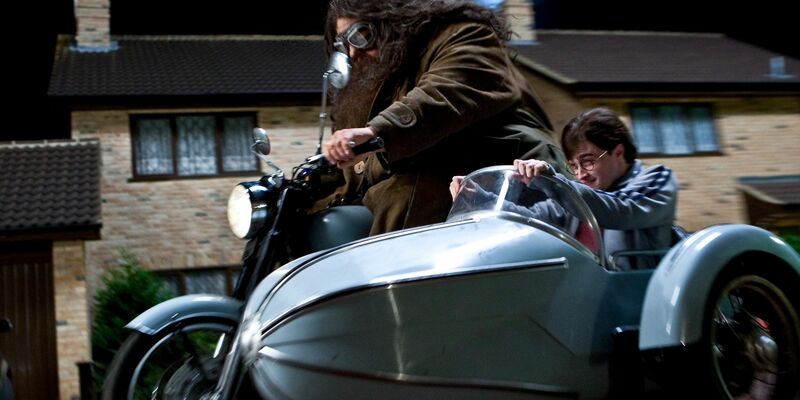 The two friends were riding Sirius’s motorcycle and were chased by two Muggle police officers for breaking the speed limit and for riding without helmets. The officers cornered them into a dead-end alley, but three men swooped down on broomsticks. In response, Sirius and James lift the police car up with their wands to block the three men, which seriously freaked out the police officers. It’s not clear whether or not James and Sirius wiped out the Muggles’ memories, but we wouldn’t be surprised if the two troublemakers didn’t bother, simply prancing off into the night, leaving two terrified Muggles in their wake. Soon after they started to date, Lily and James visited Lily’s sister Petunia and her then-fiancé Vernon. Vernon, ever the showboat, attempted to impress James with his car, and James responded by talking about his own great wealth. It’s not exactly prime dinner conversation, so the two ended up having a major argument. This first meeting didn’t get any better as the evening progressed. Both Petunia and Vernon stormed out of the restaurant at the end of the night, and Lily ended up crying. James comforted Lily, promising that he’d say sorry and make it up to Lily’s side of the family. However, both Lily and James passed away before they could reconcile with Petunia and Vernon. Incredibly, despite that awful first meeting with Petunia and Vernon, Lily and James were still invited to the couple’s wedding. That being said, Petunia upset Lily by not asking her to be a bridesmaid, and Vernon spent the reception refusing to talk to James. He did, however, rather passive-aggressively refer to James as “some magician” well within earshot. Knowing Petunia, the invitation was probably sent for the sake of appearances, and we doubt that they would’ve minded if it had been rejected. Maybe Vernon was even counting on Lily and James to say no and send an expensive gift instead. 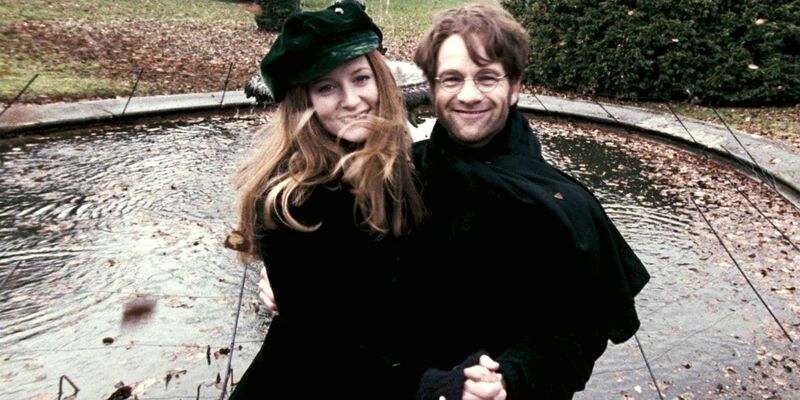 It’s unknown whether or not Petunia and Vernon were at Lily and James’s wedding, but it’s probably for the best that they weren’t. High school romances can seem like they’ll last forever, but that’s often not the case. It certainly was for James and Lily, though. They got married at the age of eighteen, soon after they graduated. James was known to showboat quite a bit, cultivating the image of a bad-boy rebel. Lily wasn’t impressed, especially because he would make her friend Severus Snape’s life miserable. Lily even told James that she’d choose the Giant Squid rather than go on a date with him. Fortunately, James eventually grew out of some of his more juvenile traits, and Lily agreed to date him in their last year, when they were Head Boy and Girl. What are some other things the Marauders did before Harry Potter? Tell us in the comments below!